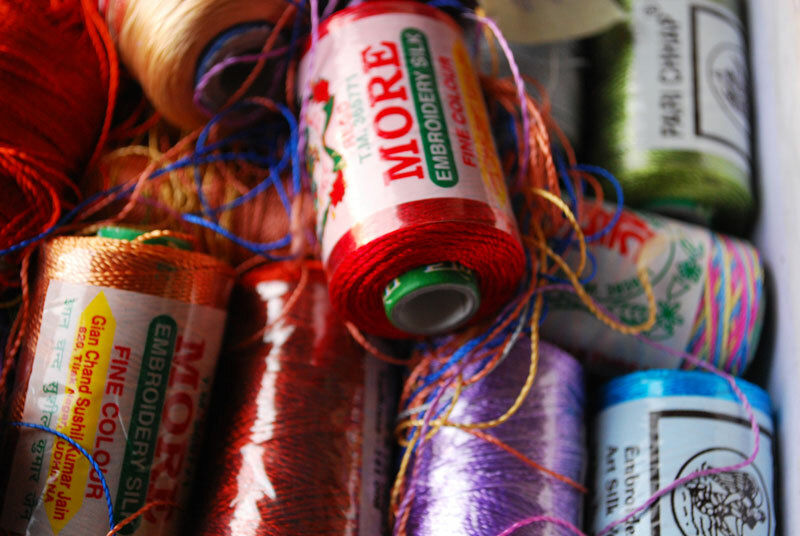 To obtain faster and cheaper production a coarser and looser style of embroidery is being employed. With fast growing industries, schooling, lack of interest for manual work, profitability, etc. the textile industry today, is imitating this art with the help of machines. 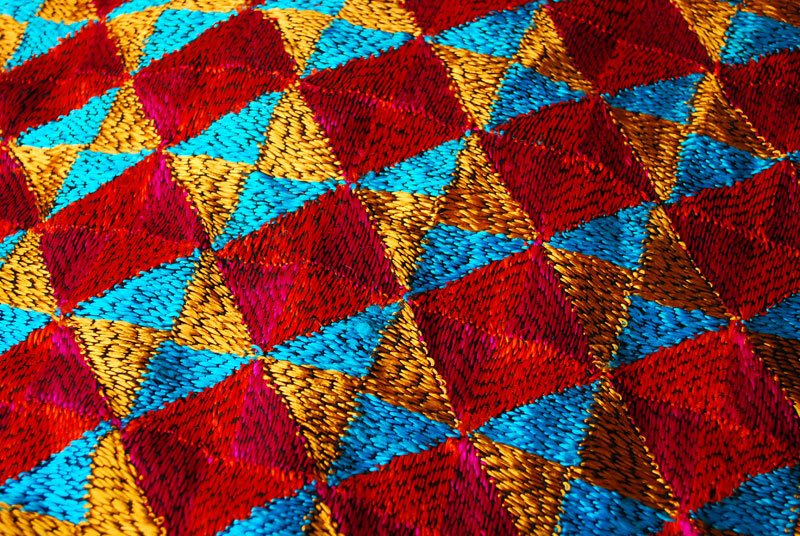 Phulkari today is not as detailed or time consuming. 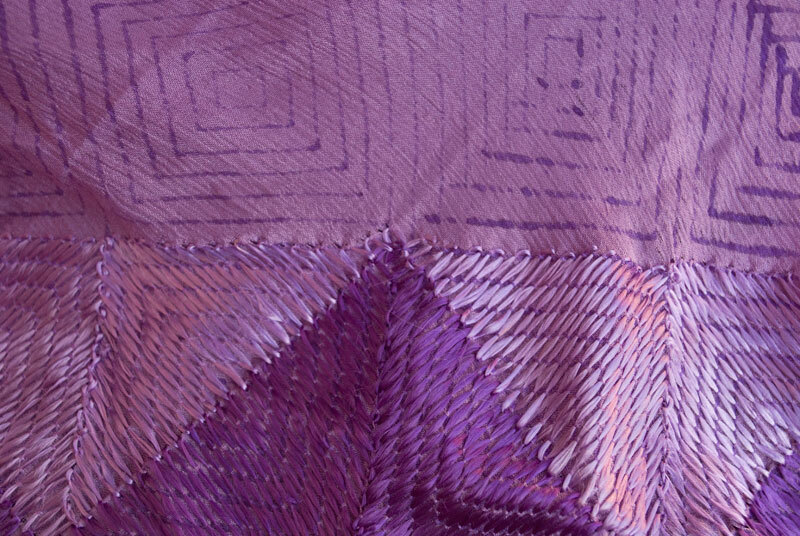 Today the woman does the embroidery from the top of the cloth rather from the wrong side of the khaddar. Khaddar is being replaced by cotton, chiffon, georgette, crepe and synthetic. 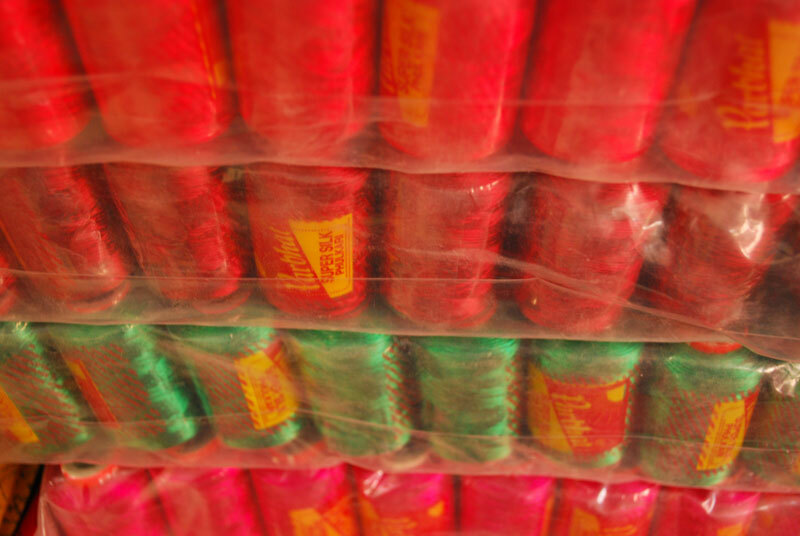 Pat threads (self hand spun) by different range of fast coloured synthetic threads and slowly people are being replaced by machines. 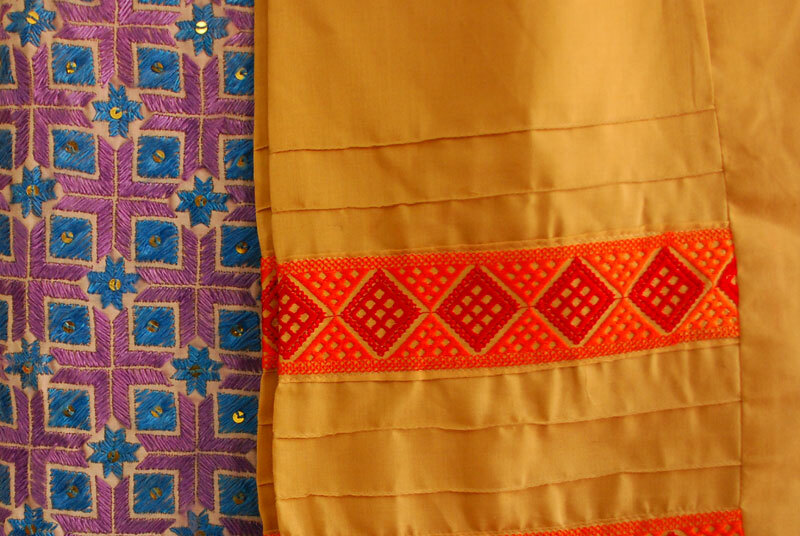 Phulkari is getting a label of contemporary context. 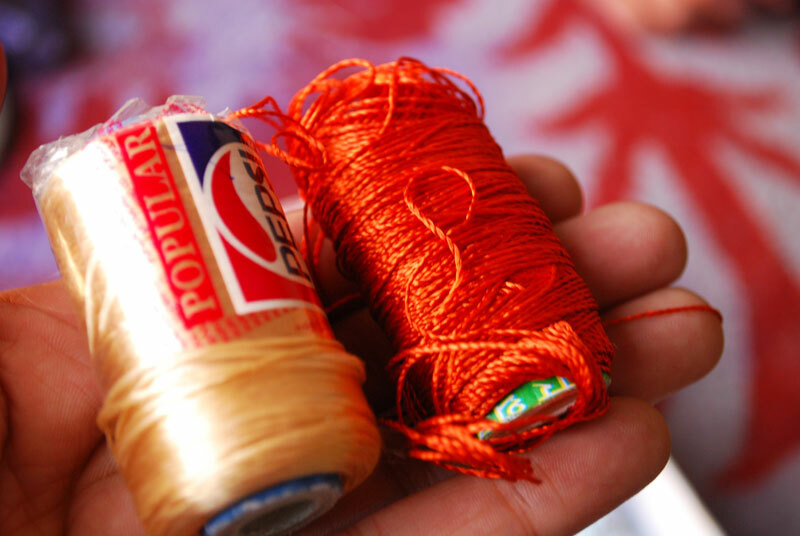 Making a Phulkari is not a single woman work anymore. 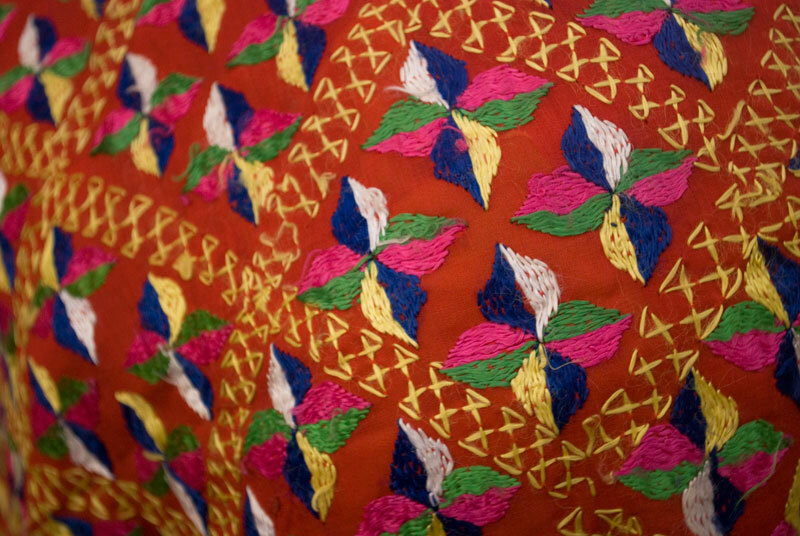 Embroidering a single Phulkari involves various stages from buying the desired cloth, block print, selection of colour and then sending them to different villages to different women for embroidery. 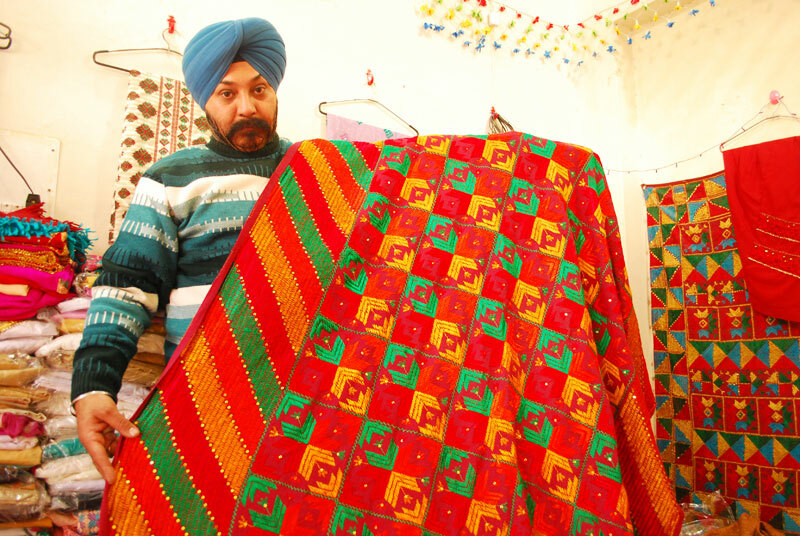 Mr Diljeet a wholesale manufacturer of Phulkari owns a small shop in Tripri, Patiala. He according to demand and requirement gets the Phulkari made. He buys his own cloth and has collaborated with block printers where he gets his printing done and once every 2 weeks travels to different villages where he distributes them amongst the village women for the embroidery. 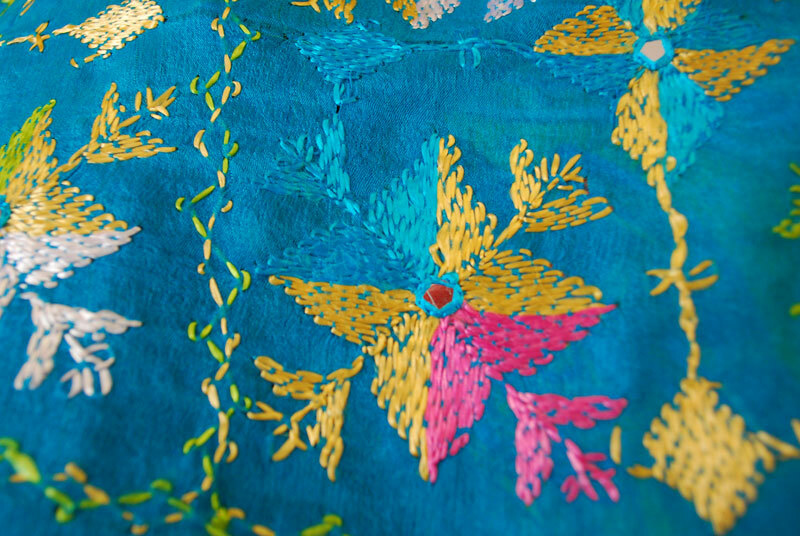 He likes to make different things using Phulkari. So far he has got Phulkari on punjabi jutti (Punjabi chapaal) got Phulkari pouches, Phulkari scenery embroidered for his house and continues to make new things.